Students who grew up in China or Taiwan are enrolling in U.S. private and public schools, often with little support at home. To help readers get an even better idea of what it is like for kids to “parachute” into a US school without their parents, we’ve made a quick video game to highlight their struggles. See if you can keep your grades up, stay happy and still get into that elite college! ARCADIA, Calif. — Ryan Ren, 14, loves the soccer fields around his middle school in Arcadia, California. Those don’t exist in his hometown of Guangzhou, China. But Ryan, now a student at Dana Middle School, hasn’t been to Guangzhou in a while. He’s what’s known as a “parachute kid,” an adolescent who comes to America alone to study, leaving parents at home. Ryan’s situation is unusual, both because he is attending public school and because he arrived here alone. The circumstances of other parachute kids vary. Some always knew they’d be coming to the U.S. for middle or high school because their parents had been planning for it from before their birth. Most parachute kids attend private schools, which can range from swank boarding schools like Phillips Andover, to small private day schools. A small, but growing, number attend public schools. While private schools have actively recruited most of the incoming students, public schools are increasingly part of the picture. Public school officials in Maine and Michigan, among other places, have attracted Chinese students whose parents are eager for their children to have an American education. Chinese students usually arrive on an F-1 student visa, which allows foreigners to enroll in both private and public American schools. Visa holders can only attend public secondary schools for one year and must pay tuition to public school districts, fees that normally range from $3,000 to $10,000 a year, according to the U.S. State Department. Fiona Liu, mother of Ryan Ren, a parachute kid. The number of Chinese students on F-1 visas in public K-12 rose from six students in 2006 to 1,008 students in 2016, according to the Student Exchange Visitor Program, a unit of the Department of Homeland Security. (The total number of Chinese students in American K-12 schools, including private schools, is currently about 35,627.) The number of Taiwanese students attending public K-12 schools on an F-1 visa rose from just four in 2006 to 29 in 2016. (During that same time period, the number of F-1 visas for Taiwanese students at private schools dropped slightly.) Mary Li-Ling Liang, Director of Education Division of the Taipei Economic and Cultural Office in Los Angeles attributed the increase in the number of Taiwanese students attending public schools here, while their parents remain in Taiwan, to parental concerns about their country’s educational system and political future. Skilling said he hoped the program, which brought 100 Chinese students to Oxford during his tenure as superintendent, gave his local students a broader global perspective. The money brought in by foreign students was another benefit. Michael Cho, a former parachute kid. But not every Chinese or Taiwanese student comes bearing a check for the public school in which he or she enrolls. That’s because some arrive carrying green cards — obtained through a parent or relative who doesn’t reside in the U.S. year-round — that allow them to enroll in public school free of charge. Some of these “foreign” students are U.S. citizens, children who were born here but moved overseas as babies or toddlers and were raised, for the most part, outside the U.S. The number of students who were raised in China but who now attend schools here as U.S. citizens or on a green card is hard to estimate. There is no ongoing record of green card holders by occupation or school status, according to the United States Citizenship and Immigration Services, another unit of the Department of Homeland Security. There is also no way of knowing whether children who hold green cards live with their parents or with other, non-related, guardians. Some, like Ryan, who live here without the benefit of parents or other relatives to take care of them, find that living with little supervision at a young age can be rough. Ryan has lived in Arcadia for about two years. He rents a room with a host family. He calls them “loving,” but he can’t remember anything they’ve talked about recently. His mother found the host family through an ad in the back of a Chinese newspaper. And though she doesn’t question the decision to send her son to the U.S., Liu said that Ryan seemed to be in better spirits in China. Most of the 13 parachute kids interviewed for this story attended school in California’s San Gabriel Valley, home to one of the largest Asian-American populations in the United States. They said their parents bet on America to get away from the stultifying, high-pressure school systems of China and Taiwan and from what they see as the precarious economic and political futures of those countries. The parents hope their children will receive a better education — less strict, more open and creative — and, eventually, better jobs, ideally in the U.S.
Students on F-1 visas can only attend a public secondary school for one year, so a visa isn’t a viable long-term option for families who can’t afford private school tuition and have only enough to pay room and board. Parents often spend years saving money just so their child can live in the U.S. to attend middle school or high school. Without a green card, or child’s claim to U.S. citizenship, even public school tuition can sometimes be out of reach. Like many of the other parachute kids interviewed, Ryan said it was hard to learn English here because so many people in the area speak Mandarin. One of those people is Michael Cho, Ryan’s tutor and one of the few adults the young teenager confides in. Cho was himself a parachute kid. “When I arrived I was a little upset because I thought I’d be able to embrace the culture of America, but I didn’t see an American town,” Cho said. In many areas of the San Gabriel Valley, streets are lined with Chinese supermarkets, restaurants and bookstores, and the Chinese language is displayed along with English on signs. Between May 2006 and May 2016, the number of Chinese students on F-1 visas attending K-12 schools rose from 586 students in 2006 to 35,627 students in 2016, according to the Student Exchange Visitor Program, a unit of the Department of Homeland Security. Left alone and afloat in a foreign culture, some parachute kids rebel. That could mean ditching class, running away, bullying, or even ending up in jail. Last year, a group of Chinese parachute kids here on F-1 visas, attending a private school in Southern California, kidnapped and assaulted a classmate. The group was convicted earlier this year and its members were sentenced to three to 13 years in prison, depending on their role in the attack. Cho, who is now 26, never got involved in violence, but he did spend a semester skipping class at Arcadia High School, he said. 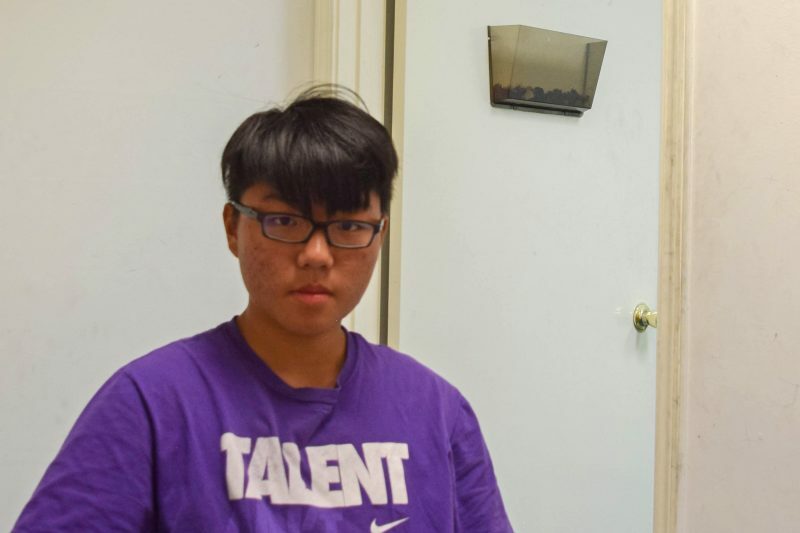 He felt he wasn’t accepted in school because the language barrier made it difficult for him to excel in class, and his family in Taiwan didn’t understand him; they thought he wasn’t trying hard enough. Over one Thanksgiving, he decided to run away to a friend’s house. When he learned his father had passed out and was hospitalized upon hearing he’d gone missing, Cho became more aware of the sacrifices his parents had made so he could get an American education. School officials are often in the dark about the difficulties faced by students whose parents live on the other side of the world. 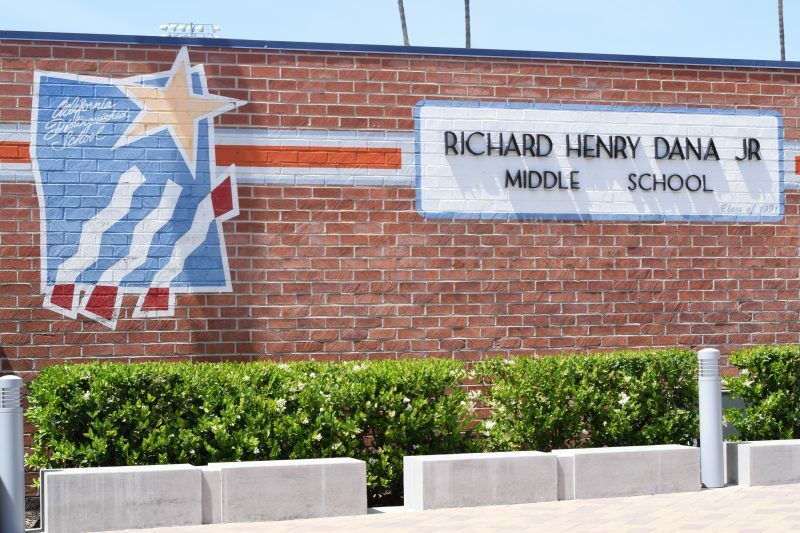 David Vannasdall, the superintendent of Arcadia Unified School District, pointed out that it is almost impossible for school officials to know who is a parachute kid and who isn’t. By law, U.S. school district representatives can’t ask about immigration status; as long as students have a guardian to sign their papers and a local address, they can register for school. Still, district officials have taken varied approaches to communicating with Chinese parents — including an active account on the popular Chinese social media site, Weibo — indicating they are aware, at the least, that many of their students’ parents may not speak English. Language wasn’t the issue for sisters Jessie and Jamie Lee, now 27 and 25. The girls were born in Louisiana, where their father was attending medical school. After he graduated, the family moved back to Asia and the sisters spent most of their childhood growing up in Taipei, Taiwan. As teenagers, however, the girls returned to the U.S. and lived, without their parents, in a rented apartment while they attended high school in Irvine, California. Their father gave them a “crash course” on how to take care of themselves when he dropped them off a few weeks before they started school. The course included a safety lesson: He bought them cheap knives at Target so they wouldn’t cut off their fingers while preparing meals. The school never seemed aware of their situation, Jessie Lee said. She’d pretend to be Jamie’s mother over the phone, calling in sick for her sister. There were no parent conferences or other meetings to attend. 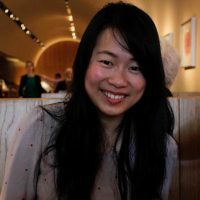 “It would have been nice to have an adult, like a mentor, who I could go to for questions,” said Jamie Lee, who said she felt directionless at times. Despite the obstacles, many of the students interviewed said they are grateful for the life skills they had to develop early on — including perseverance, autonomy and critical thinking — which helped them in college and now in various careers. Cho has found his purpose in giving back to the parachute kids and English learners in his adopted community through tutoring and mentoring. Much of what he intended to do in his life here didn’t go as planned: He didn’t go to medical school or even directly to a four-year college. But he knows he can help kids struggling with the feeling of shifting identities as they move from one continent to another. This story was produced by The Hechinger Report, a nonprofit, independent news organization focused on inequality and innovation in education. Read more about immigrant and refugee students. Game designed by John Osborn.